We’re really pleased – after two years of discussion, editing, and working with Ashgate, that Defining Digital Humanities is finally out in both print and ebook formats. Given the growth in Digital Humanities centers and courses, we wanted to pull together core readings in our field – from both “Humanities Computing” and “Digital Humanities” – that would give the flavour of the various discussions that have occurred when people have tried to define Digital Humanities. Our editorial stance is not to define DH ourselves, but to present the core content that appear on various syllabi, in one handy print volume that can be used in class, or by those interested in understanding more about why the term Digital Humanities is so used, and so discussed. 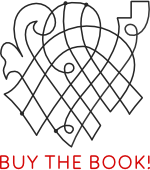 As is the nature with a reader text, most of the content is available elsewhere: on this site we link to the online versions of the materials published in the book, although some of the content is behind paywalls. 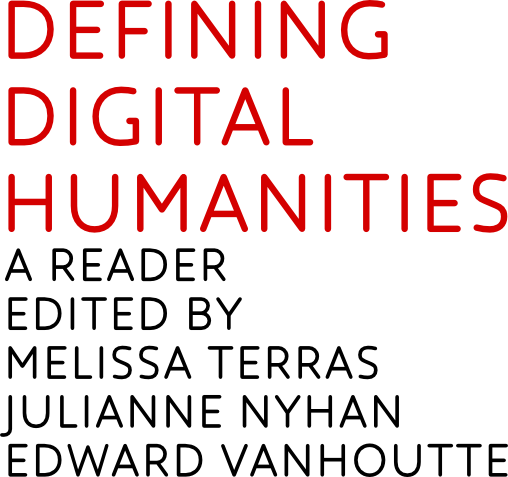 We provide one major new chapter written by Edward Vanhoutte on the histories of Digital Humanities, which we make freely available on this site. We also hope to keep the further reading section on this site updated with newer blog posts, and journal articles, which add to the discussion of that it means to undertake Digital Humanities activities, and we’ll be adding additional content to the site as time goes on. The print volume also contains introductions to each featured article, and comments from most article authors, as well as a list of questions that can be used in a taught class to spark discussion. We believe we’ve created a very useful compendium of texts which is a starting point when trying to understand the field which is now described as Digital Humanities. You can follow @DefiningDH on twitter, and please do let us know of other content that we should be including on this site.